I love, Love, LOVE your Brioche course. I feel like it has already paid for itself with just the little tips alone that you have passed along so far. Not once have I had a problem seeing or understanding what you were doing or explaining. And it began in such an understandable and methodical way. Everything keeps building on what was previously covered… And the videos are OUT-STANDING! ! 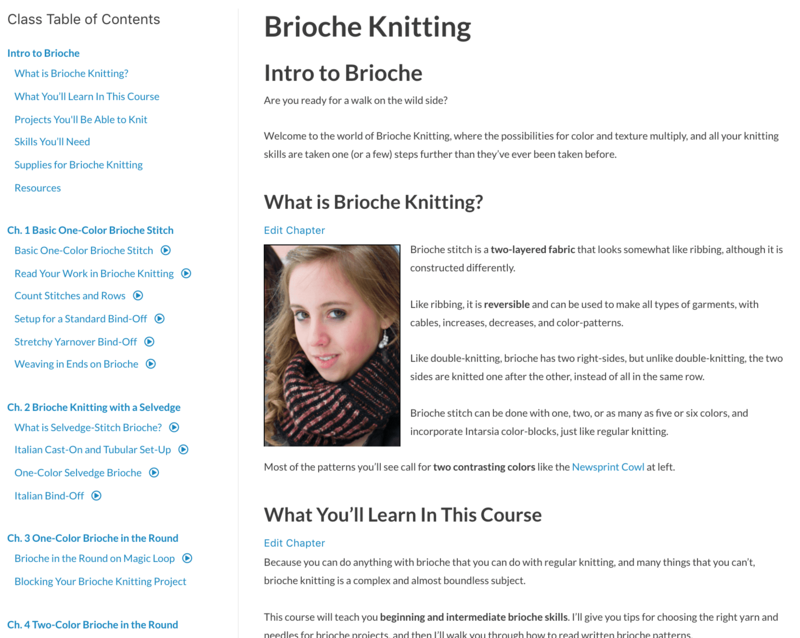 Your Brioche Knitting Course… covers all the things I need to know about knitting the Brioche Stitch. The course is well thought out and the layout progressive. The videos are tremendously helpful as well as the written instructions. There is nothing I would add or change in the course. You don't own this class yet! Preview the Brioche Knitting class here. 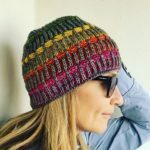 Imagine Gorgeous Brioche Projects Flowing from Your Knitting Needles. 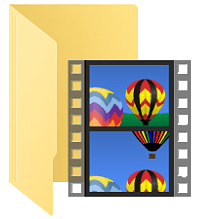 This Complete Video Course Makes it Possible. Brioche knitting is complicated. One-color, two-color, decreasing... and all those weird abbreviations! Luckily, it is well within your abilities to knit brioche with ease. 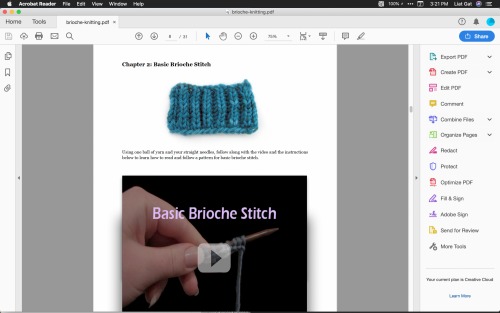 By following along with the videos and exercises in this course, you'll be amazed at what you create. Ready to Knit Intricate Brioche Motifs With Ease? 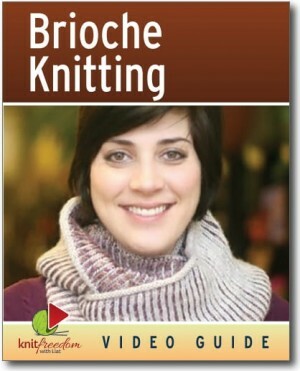 To date, 718 happy customers have purchased this Brioche Knitting class. "I love, Love, LOVE your Brioche course. I feel like it has already paid for itself with just the little tips alone that you have passed along so far. Not once have I had a problem seeing or understanding what you were doing or explaining. And it began in such an understandable and methodical way. Everything keeps building on what was previously covered… And the videos are OUT-STANDING! !" "Your Brioche Knitting Course… covers all the things I need to know about knitting the Brioche Stitch. The course is well thought out and the layout progressive. The videos are tremendously helpful as well as the written instructions. There is nothing I would add or change in the course." 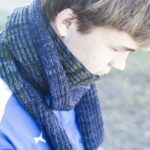 Brioche stitch is a two-layered fabric that looks somewhat like ribbing, although it is constructed differently. 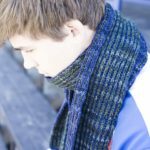 It uses knits, purls, and yarnovers to create a plush, textured fabric. 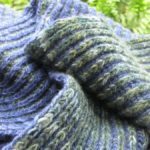 Like ribbing, Brioche knitting is reversible and can be used to make all types of garments, even incorporating cables, increases, decreases, and color-patterns. 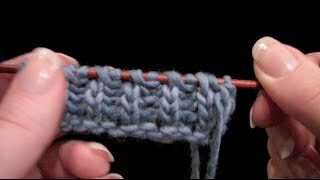 Like double-knitting, brioche has two right-sides, but unlike double-knitting, the two sides are knitted one after the other, instead of all in the same row. 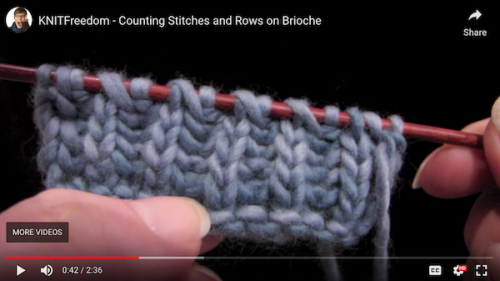 Brioche stitch can be done with one, two, or as many as five or six colors, and incorporate Intarsia color-blocks, just like regular knitting. Most of the patterns you’ll see call for two contrasting colors like the Newsprint Cowl at left. 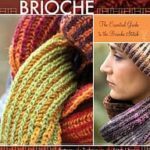 Ready to Quickly and Easily Learn Everything You Need to Know to Become a Brioche Knitting Superstar?